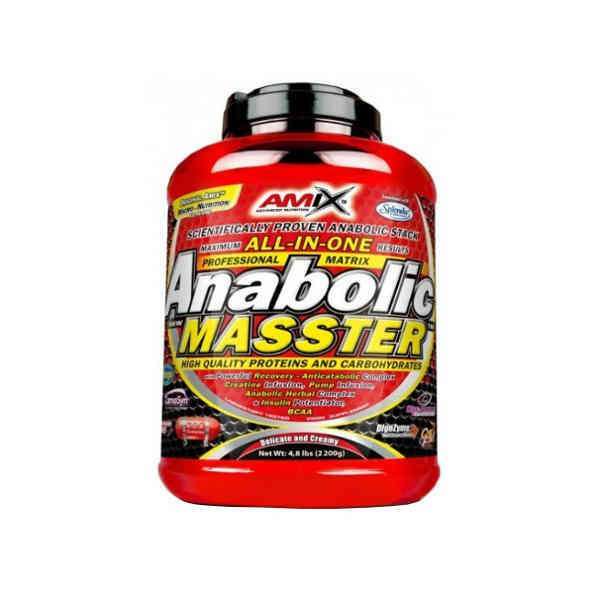 Anabolic Masster by Amix is a product that is cataloged as an 'All-In-One' designed to provide the optimum recovery of the athlete. When using the term 'All-In-One' we are referring to a source of nutrients that will include all of the elements intended to guarantee the beginning of the recovery process. All these benefits are delivered in 4 exquisite flavors that you can enjoy when you finish your sport session in a refreshing shake! As we know, a workout with a certain degree of intensity and therefore, an adequate and sufficient stimulus, causes an alteration of homeostasis. This concept is related to the mechanisms of self-regulation of our organism in situations that modify its biological rhythm and physiologically disrupt its normal behavior. The goal of a workout will therefore be to produce these intentional alterations so that our body, once it recovers the homeostatic thread, generates the new adaptations and as a result an increase of the athletic physical qualities, at a strength, endurance and muscular power level. The role of Anabolic Masster in these processes will be to provide first-hand those elements that intervene quickly to help recover the homeostatic balance, and therefore, lead to an efficient restoration of the system, which after the subsequent phase of rest, will lead to the correct assimilation of the training session. This way, Anabolic Masster will deliver up to 45g of high quality protein, providing the complete spectrum of amino acids (essential and non-essential). Additionally, the process of obtaining the isolated protein, called CFM® ('Cross Flow Microfiltration') will keep intact the protein fractions providing high benefits for your health and immune system. These are sources with different absorption ratios so that the glucose supply will be continuous and uniform, being also quite efficient due to the molecular origin of the members, without a pronounced alteration of blood glycemia. It involves a triple source of creatine to ensure the recharge of ATP deposits. This energy substrate is the one used in activities with a maximum performance, where high intensity and short duration efforts predominate. Due to the availability of such deposits, after a hard workout its capacity can be compromised. This is why, acting upon this situation with the subsequent recharge, will be a very interesting option from the point of view of muscle recovery. This combination will provide the system with the ability to influence, on the one hand, with the mix of the beta-alanine and histidine to increase the deposits of intramuscular carnosine, having a high impact on high intensity efforts with the production of lactic acid -thus mitigating the action of this metabolic residue-. On the other hand, contributing to the cellular hydration produced by the effect of creatine. Its function is to contribute to generating ATP and cellular energy, and to act as an insulin regulator, improving glucose uptake by the muscle cell. These elements share an important property, in addition to their synergistic action, and it is that they will create a hormonal environment that will favor protein synthesis. This is due to the fact that, on the one hand, the plasma levels of the amino acid L-Glutamine are increased, while being a potent anti-catabolic agent; and, on the other hand, the action of BCAAs (L-leucine, L-valine, and L-isoleucine) that form a trio with hormonal repercussions, in the sense that the activate physiological pathway for muscle building, mTOR. In addition, HMB will contribute to repair cellular damage caused by physical exertion, as well as decreasing the concentration of corticosterone (stress-induced hormone, which is not recommended to be kept high, except in the situations that require it, like intense exercise). Taurine facilitates the water regulation function at a cell membrane level, optimizing hydration at this level. Meanwhile, tyrosine plays a role in the cognitive function, enhancing the effect produced by the release of endorphins and leading to a state of post-exercise mental relaxation. This complex supports the transport of nutrients to the muscle cell by boosting the segregation of nitric oxide, amplifying the blood flow. Another important action will be to accelerate the excretion of metabolic waste products. This complex supports the hormonal function, optimizing endogenous levels and amplifying signaling. It also increases vitality, and has an energizing effect. This complex provides 3 important minerals in the form of a phosphate to ensure their bioavailability. Its importance lies in supporting the recovery of mineral balance and avoid possible problems such as muscle cramps. This digestive enzymes complex is composed of: Amylase, lipase, lactase, cellulase and neutral bacterial protease. Its function will be to improve the digestion of the macronutrients that are supplied (proteins and fats) and thus allow a more efficient absorption later. As we have explained, Anabolic Master constitutes a complete nutritional supply at all levels, including the most outstanding components of the world of supplementation. Sportspeople or athletes, who maintain a high pace of workouts (volume and intensity), and who seek an optimal complement to solve their needs in terms of recovery and ensure that they accelerate this process, so that they can be available for the next sport session. 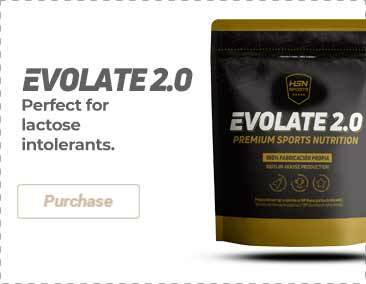 Protein concentrate, glucose, fructose, maltodextrin (glucose polymers), amino acids derived from proteins, whey protein isolate with protein fractions CFM®, creatine monohydrate 4000mg, Isomaltulose (Palatinose®), starch - Vitargo® , egg protein, L-Glutamine 2000mg, whey protein isolated by ion exchange, hydrolyzed whey peptides, 1000 mg L-Arginine, Taurine 800mg, 500mg L-leucine, HMB - Hidroximetilbutarato 500mg, Tri-creatine malate 500mg, 500mg Kre-Alkalyn® , dicalcium phosphate 500mg, L-glutamine alpha-ketoglutarate 500mg, 500mg creatine ethyl ester, Beta-Alanine (CarnoSyn®) 500mg, 300mg Tribulus Terrestris, 300mg Inosine, L-Arginine alpha ketoglutarate 300mg, 250mg L-isoleucine, L-Valine 250mg , soy lecithin, cocoa powder, 250mg dipotassium phosphate, phosphate disodio 250mg, L-Tyrosine 200mg, Digezyme® Enzyme Complex 150mg, 100mg Saw Palmetto Extract, Guggul 100mg, 100mg alpha lipoic acid, L-citrulline malate 100mg, L-histidine 100mg, stabilizers (xanthan gum and guar gum), glucuronolactone 100mg, flavors, sweetener (Splenda) and acesulfame K.
Mix 50g with 200ml of water, skimmed milk and any other drink you prefer. The daily recommended dose is 100g. Divide into two servings of 50g each one. The first one 1 hour prior to physical exercise and the second one 30 to 45 minutes after physical exercise.